I applied logistic regression to my data on SAS and here are the ROC curve and classification table. I am comfortable with the figures in the classification table, but not exactly sure what the roc curve and the area under it show. Any explanation would be greatly appreciated. When you do logistic regression, you are given two classes coded as $1$ and $0$. Now, you compute probabilities that given some explanatory varialbes an individual belongs to the class coded as $1$. If you now choose a probability threshold and classify all individuals with a probability greater than this threshold as class $1$ and below as $0$, you will in the most cases make some errors because usually two groups cannot be discriminated perfectly. For this threshold you can now compute your errors and the so-called sensitivity and specificity. If you do this for many thresholds, you can construct a ROC curve by plotting sensitivity against 1-Specificity for many possible thresholds. The area under the curve comes in play if you want to compare different methods that try to discriminate between two classes, e. g. discriminant analysis or a probit model. You can construct the ROC curve for all these models and the one with the highest area under the curve can be seen as the best model. 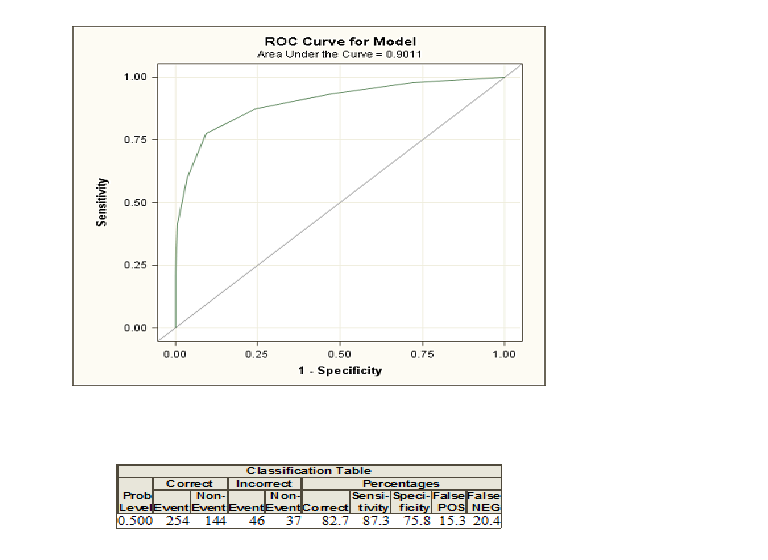 If you need to get a deeper understanding, you can also read the answer of a different question regarding ROC curves by clicking here. The logistic regression model is a direct probability estimation method. Classification should play no role in its use. Any classification not based on assessing utilities (loss/cost function) on individual subjects is inappropriate except in very special emergencies. The ROC curve is not helpful here; neither are sensitivity or specificity which, like overall classification accuracy, are improper accuracy scoring rules that are optimized by a bogus model not fitted by maximum likelihood estimation. Note that you achieve high predictive discrimination (high $c$-index (ROC area)) by overfitting the data. You need perhaps at least $15p$ observations in the least frequent category of $Y$, where $p$ is the number of candidate predictors being considered, in order to obtain a model that is not significantly overfitted [i.e., a model that is likely to work on new data about as well as it worked on the training data]. You need at least 96 observations just to estimate the intercept such that the predicted risk has a margin of error $\leq 0.05$ with 0.95 confidence. The AUC is basically just telling you how frequently a random draw from your predicted response probabilities on your 1-labeled data will be greater than a random draw from your predicted response probabilities on your 0-labeled data. Applying this explanation to your data, the average positive example has about 10% of negative examples scored higher than it. Not the answer you're looking for? Browse other questions tagged regression logistic classification roc or ask your own question. Area Under Curve ROC penalizes somehow models with too many explanatory variables? Why is ROC curve used in assessing how 'good' a logistic regression model is? Binomial regression and ROC curve conflicting results ?